Introduction and background introduction We as humanity continue to consume the earths’ resources at ever increasing and unsustainable rates. This serves a course of rapidly accelerating trends of environmental degradation and climate change globally, which threaten to undermine existing and future developmental potential and opportunity. As a result of these increased national awareness of these risks and threats to development in South Africa, environmental considerations are being mainstreamed in development policies across the economy. The Constitution of the Republic of South Africa empowers us as a sector and the Department of Environmental Affairs continue to endeavour for the full realisation of the right to an environment that is not harmful to the health and well-being of South Africans and all those who live in our country. As the sector and the Department, we aim to radically transform our approach to environmental protection, while also balancing it with socio- economic development – crucial pillars on which sustainable development rests. As a nation we adopted the National Development Plan, which maps out the vision of the country for the 20 years ahead. In the environment sector, we will implement related aspects of the priority areas that deal with environmental protection and sustainable development. Also in our quest to achieve the Millennium Development Goals, particularly environmental protection and poverty reduction, we continue to promote various initiatives that galvanise unprecedented efforts to make South Africa a better country for all who live in it. 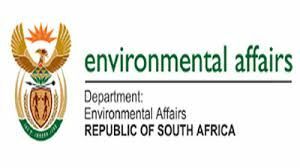 The department therefore aims to provide leadership in environmental management, utilisation, conservation and protection of ecological infrastructure.